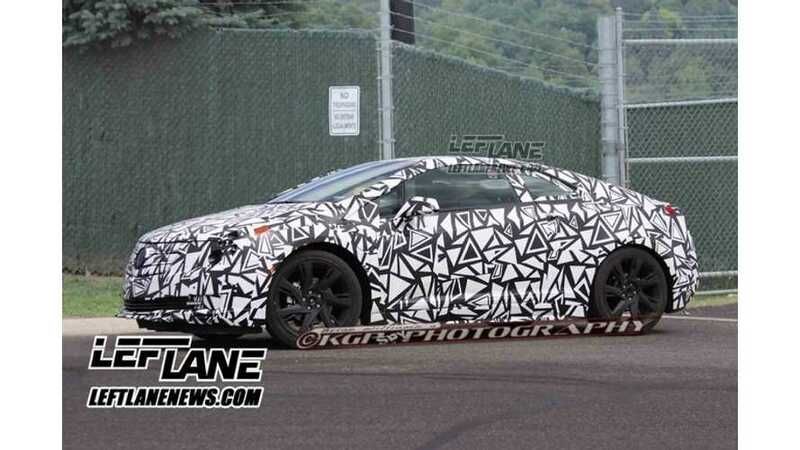 Over at Left Lane News, their spy shot photographers were able to catch the upcoming Cadillac ELR plug-in driving about. Although the model has heavy body stickers to confuse some of the current vehicle lines, it is clear in the pictures that this is not a Chevy Volt. Cadillac ELR. Picture from Left Lane News. Personally, it looks like a slightly shrunken version of the awesome Cadillac CTS coupe with its hatch back rear look, however the front grill and nose is a lot less violent looking. According to Left Lane News the front will have the signature Cadillac grille and similar headlights and tail lights that are on the new ATS model. 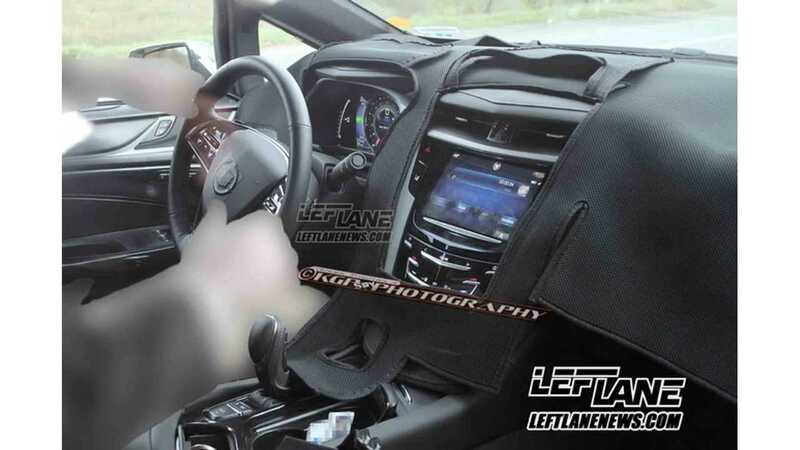 Inside, the Cadillac ELR plug-in will offer the caliber one expects from a Cadillac including leather-wrapped steering wheel, the CUE infotainment system, and possibly an LED instrument panel. Under the hood, the plug-in will be similar to the previous Voltec power train, but the it will supposedly have more power and newer technology and could be dubbed the Voltec 1.5. To learn more about the Cadillac ELR and see the complete photo gallery, check out Left Lane News.